For a quick overview of ‘my system’ as outlined in my IELTS Writing Two book (shown), we can look at a sample Writing Task Two Answer which I wrote in the year 2012. We can then use this answer in order to illustrate my structure and approach. Here is the Task-Two Essay Question. The world is experiencing growing tension between nations. International sporting events are important in reducing this. Do you agree or disagree? Give reasons for your answer and include any relevant examples from your own knowledge and experience. You should write at least 250 words. You should spend about 40 minutes on this task. Here is my Task-Two Answer. I have colour-coded various parts for later analysis. Remember, as my IELTS Writing Task Two book states, there are four types of IELTS essay tasks. This is a ‘one-part argument essay’. Other types of essays would be structured differently. With the London Olympics only recently finished, such international sporting events must necessarily remain quite vivid* in people’s minds, especially as symbols of world union. Many would thus feel they help ameliorate* international tensions, yet I do not believe they are essential (or, in fact, even significant) in order to achieve this aim. One reason is that sporting events equally engender* fierce competitiveness, which inevitably creates controversy and conflict. With the over-riding compulsion* to win, these games are usually rife* with accusations of illicit* tactics, and with national prestige* at stake, historical or political enmities* are far from forgotten. A classic example is the Melbourne 1956 Olympics, which witnessed a fist fight in the water polo match due to the Soviet invasion of Hungary. Clearly, the antagonism* flowed, quite literally, as much as the blood which stained* the pool-water red. Another reason why sporting events are insignificant in resolving tensions is the efforts of international diplomacy, which surely play by far the greatest role. Most countries have ongoing and intricate* networks of official engagement in others, which, although ‘under the radar*’, cannot be underestimated. A good example is the recent revolution in Libya, whose ultimate success was the result of unprecedented* levels of co-operation between Europe and the Arab world, all driven by intense diplomatic groundwork*. It could be argued that sporting events do, in some ways, unite nations in a shared spirit. However, such meetings are only periodic, and hence, any fellowship which exists could only remain for the duration of the play, after which it is quickly forgotten in the customary bickering* between competing nations. As an example I could cite the venom* that China regularly exhibits in its relations with Taiwan, only exacerbated* during the Olympics, as both nations vie* for recognition at the others’ expense. In short, global sporting occasions have only a limited effect in enhancing amity* between nations. Countries should better develop normal diplomatic channels if they truly hope for resolution of international disputes*. is factual and honest, with real belief all statements, opinion, and argument. These features are also what make this answer VERY good. Unfortunately, the above attributes are rare among learners of English, since they are mostly taught to do the opposite! Yet I would say confidently that this sample essay is easily an IELTS 9! Here are some paragraph-by-paragraph observations. All reference to tips are from my book. The essay begins with some background which is TRUE! Wow! Now that’s rare among students, who will deliberate, knowingly, uncaringly LIE. That lie is usually illogical (“In contemporary society, the issue of international tension has raised heated disputes among citizens …”), and immediately reveals in the very first sentence that they are weak (and dishonest) writers. After this background sentence, there is a transition sentence [Tip 11], introducing the issue, leading to my opinion, with the logic signal ‘yet’ [Tip 11]. The paragraph begins with the 1st reason, using Method Two [Tip 8, Hint One]. Then there is explanation (before exemplification) [Tip 15, Part Three], and a specific example from my ‘own knowledge and experience’, just as the question asked [Tip 16]. Use these (and not memorisation from bad IELTS sources) [Tip 10]. This paragraph begins by clearly signposting what the next reason refers to, then giving the reason [Tip 8]. Again this reason is simple, and clearly supports my opinion. Notice that I am not using the repetitive ‘I think/believe’. Obviously I believe my own words. There is also another example from my own knowledge and experience. One point is given from the ‘other side’ using the passive voice … and promptly counter-argued …thus supporting my opinion [Tip 9]. There is another specific example, from my awareness of current events in the world [Tip 16]. The opinion is re-phrased (to ensure it is clear), then ‘final thoughts’ (here, a suggestion) are given to end with originality and style [Tip 13]. 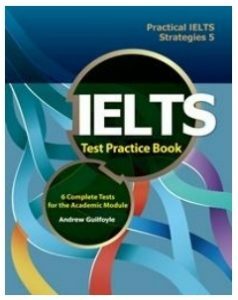 To demonstrate a ‘perfect’ answer, I usually need 330 words, as can be seen in all the sample answers in my IELTS Writing Task Two book, and the IELTS Test Practice book (shown). However, many students say they cannot write so many words – in fact, they struggle to write the minimum 250 words! Perhaps that is why so many IELTS sources teach a four-paragraph model. This is often underlength, but the conventional teaching ‘pads’ this out with memorised fluff. Yet I still defend my model. Remember, this example has very many examples from my own knowledge and experience (shown in green). Some of these could be removed to save time. Take out the first example (in Paragraph Two), and the essay becomes 290 words. If you also take out the last example (in Paragraph Four), the essay is 257 words – very achievable for learners of English – and the essay is still very clear, organised, supported, and good! (But perhaps not perfect). As I say to my students, make sure one of the paragraphs has a specific, supported, and factual example. Another strong feature of this sample answer is its high-level vocabulary. I have put an asterisk (*) alongside these difficult words, and now it’s time for you to learn them. Match the words on the left (* in the sample answer) with their meaning on the right. The answers are given at the bottom of the table. 6 illicit (adj) strong bitter feeling; hatred and a desire to hurt sb. 10 to stain (v) to compete strongly with sb. in order to obtain or achieve sth. 19 amity (n) feelings of hatred towards sb. 20 dispute (n) to leave a mark difficult to remove; to change the colour of sth.